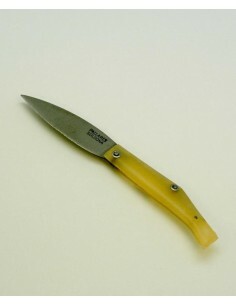 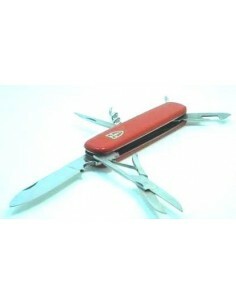 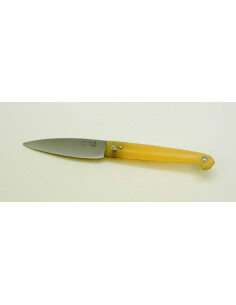 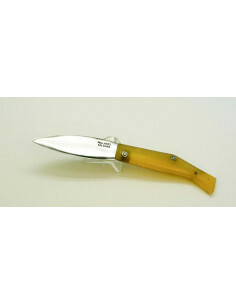 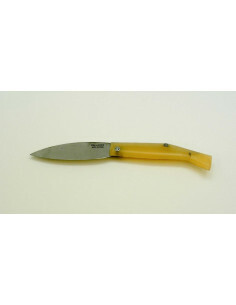 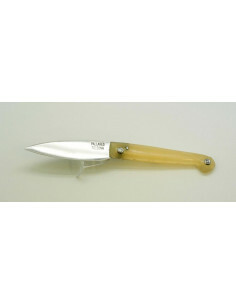 Palmadera folding knife from 70s/80s with molded handle. 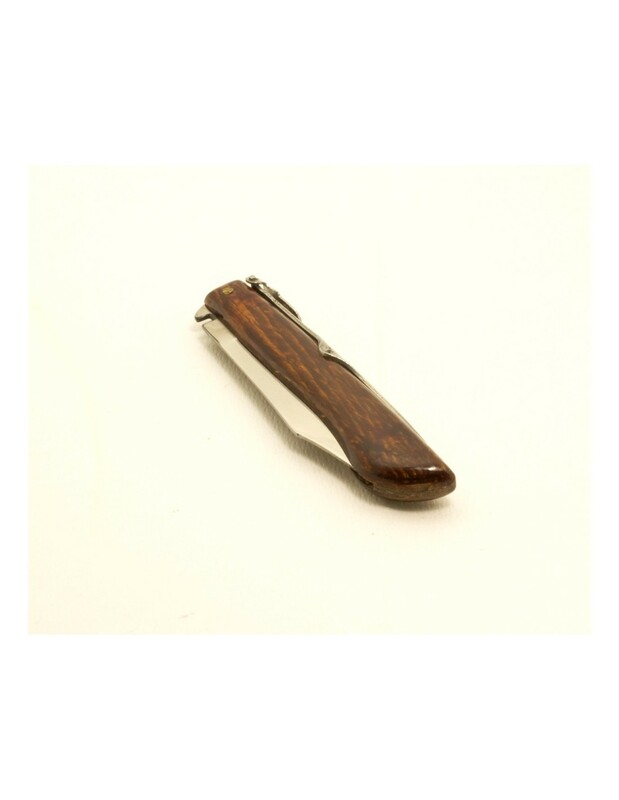 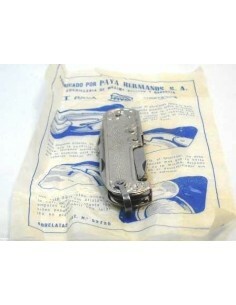 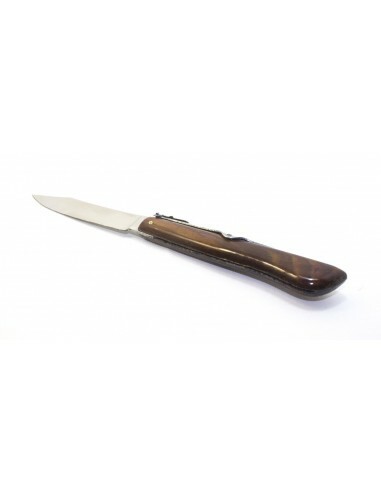 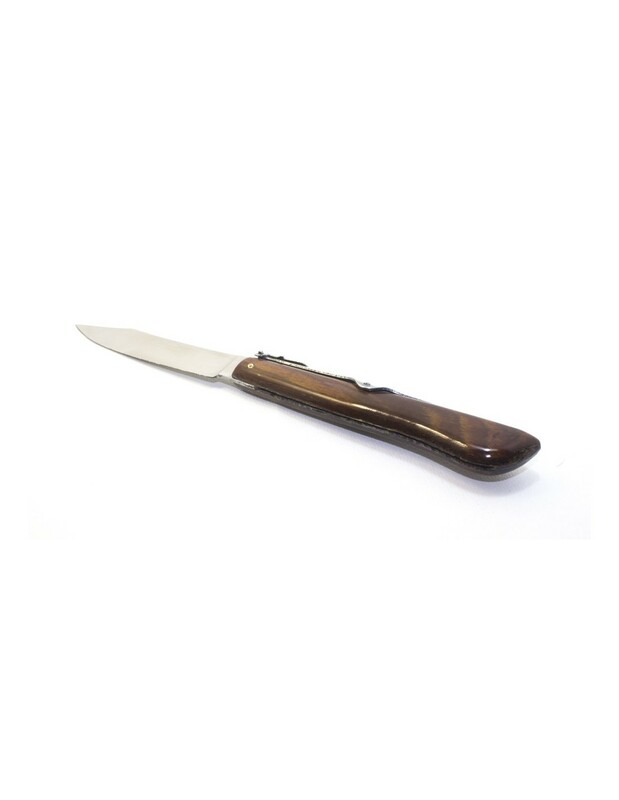 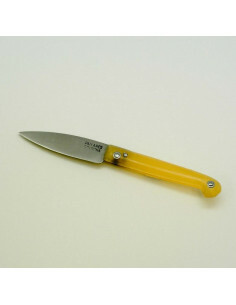 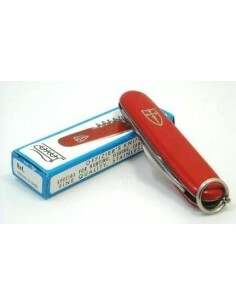 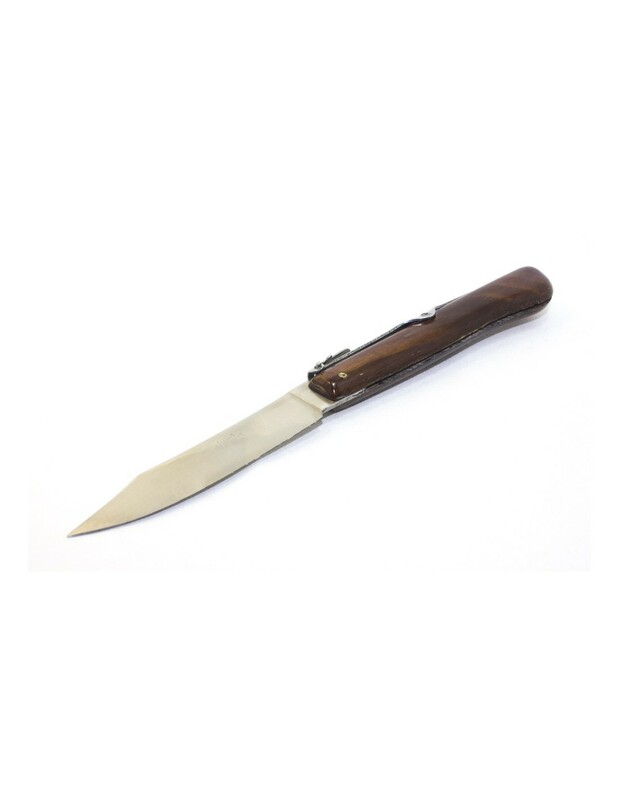 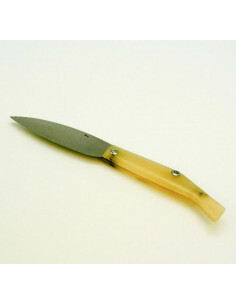 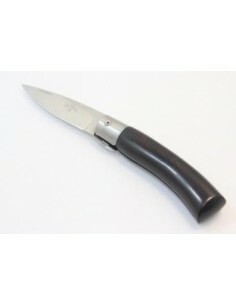 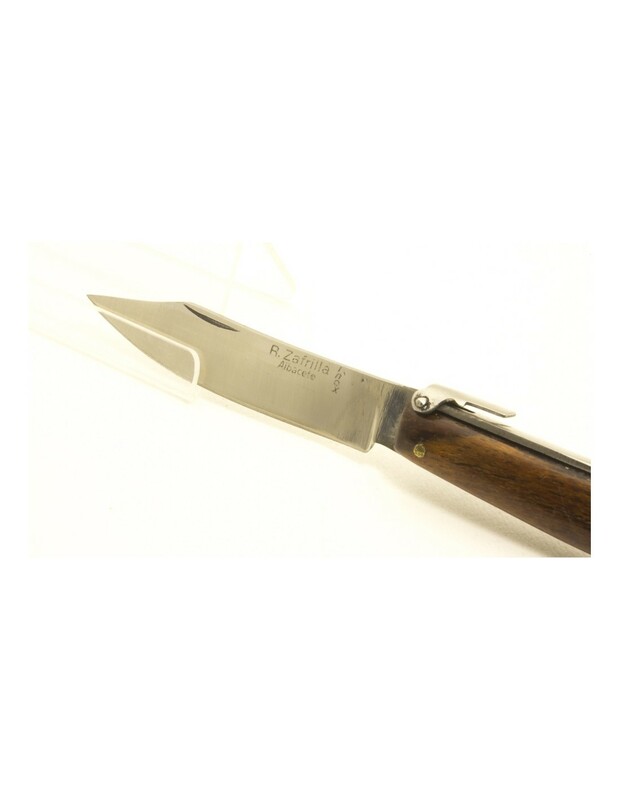 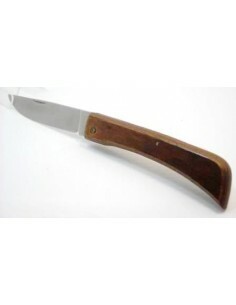 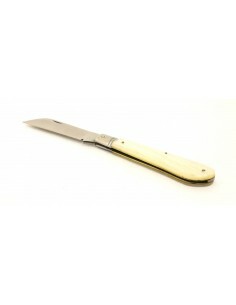 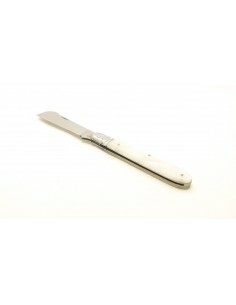 We have found a vintage folding knife from 70s/80s that is no longer manufactured, this is the pocket knife called Palmadera, as this company was the first one in Spain that made such moulded handle with which this folding knife is made. 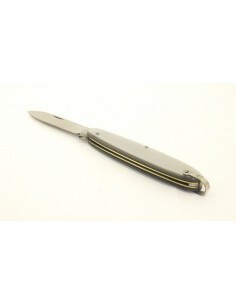 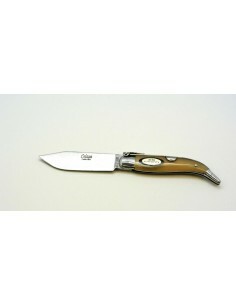 Blade of stainless steel blade, no hollowed, 1mm thickness, no liners, teja spring (the typical one of classical Albaceye folding knife) and billet of stainless steel. 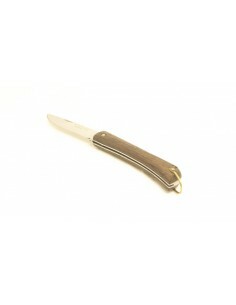 Molded handle of beechwood. 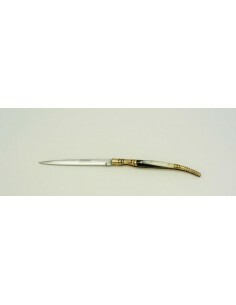 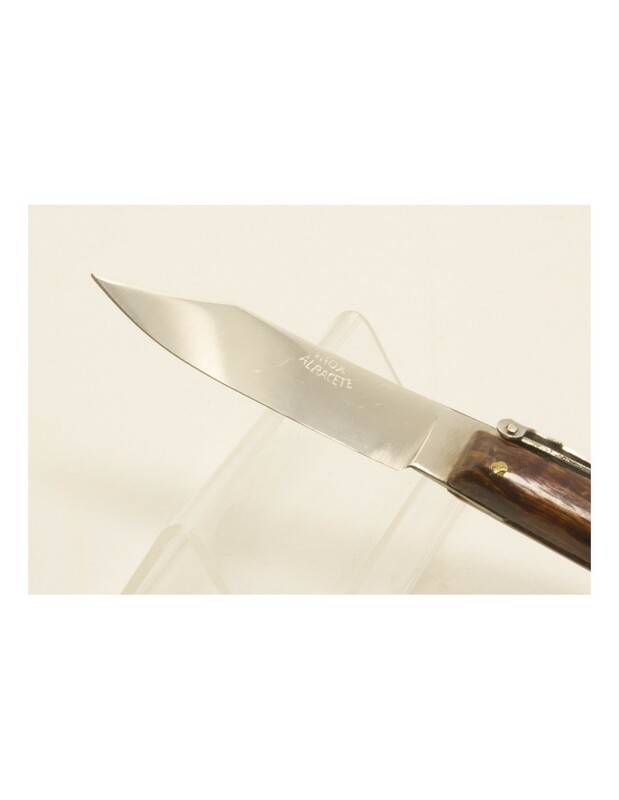 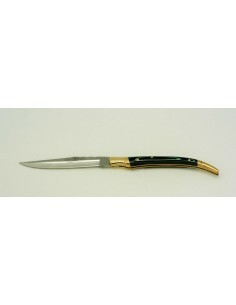 The blade is only marked in some knives by "Albacete Inox", in others by "R. Zafrilla Inox, ´cause there were many artisan from Albacete used to buy that type of handle to make knives in those years. 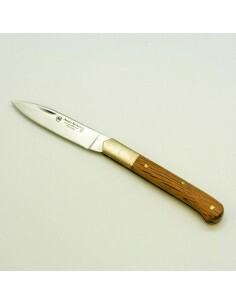 Only available marked by "Albacete Inox". 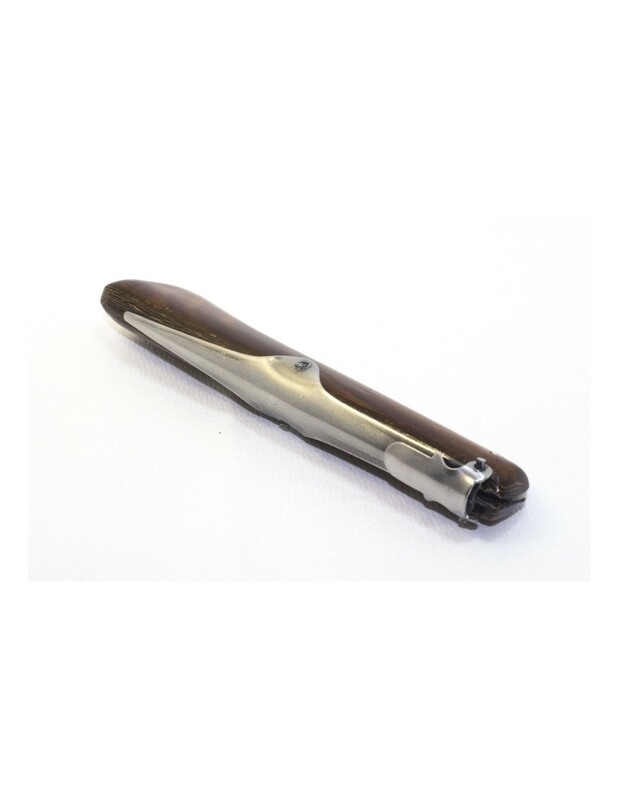 The molded handle is made of beech wood veneers that are impregnated, and then introduced into a press machine with a mould that contains the shape of the handle you wish to manufacture.